For the past few weeks Stef and I have been planning a baby shower for our friend Meagan from Dominica (it was a surprise or else you know I would have been posting about the details). Meagan’s sister is in town visiting and we even got her in on the secret. Her baby girl (her name is being kept a secret) is due in the beginning of October and she didn’t think she was going to be having a shower since she’s so far away from family (we’re in Miami, family is on LI BABY!) Of course I snapped a few photos and made a little video to share with you. Lauren greeting Meagan at the door. Fantastic food spread (cupcakes, zucchini boats, spinach quiche, veggies). Clothes line. Mom chair (I knitted that blanket :)). Cheesecake Stuffed Strawberries. Baby gifts. Stef’s diaper cake and a posing Miss Sophie. Cupcakes made by moi. Baby Banner. 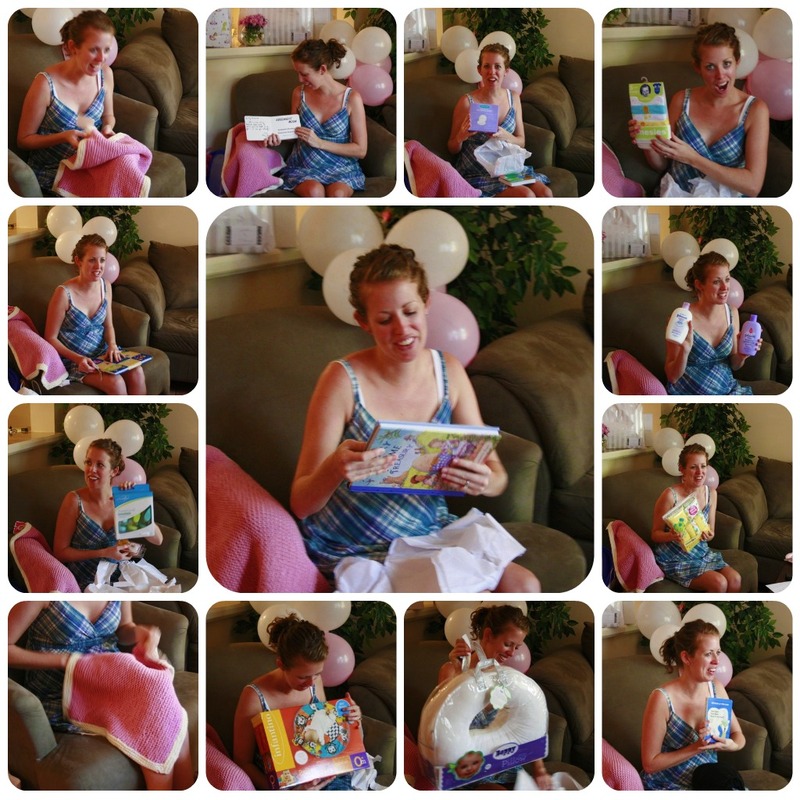 Mama-to-be opening up her gifts including a Boppy Pillow, lay ‘n play mat, books from her mom/sister/friends, bottles/pacifiers, knitted blanket, bathtub, towels and washcloths, Moby Wrap. Of course I couldn’t leave out the Parker-man. He was the man of the hour. 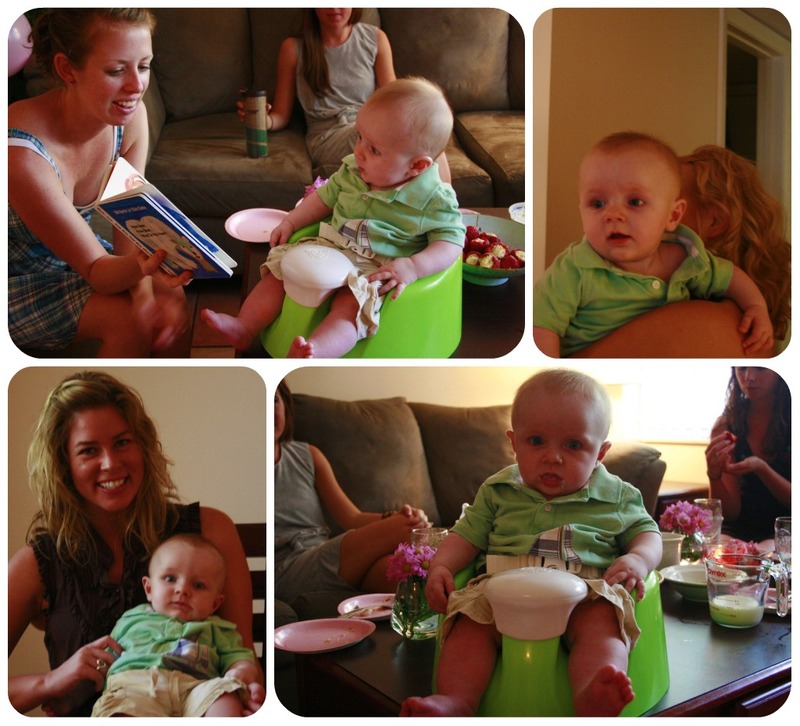 Top left corner going clockwise…Meagan getting used to mom-duty, reading Parker a book. Waking up from his nap and greeting the ladies. Being the cutest centerpiece on the table. Being held by our good friend Taylor. 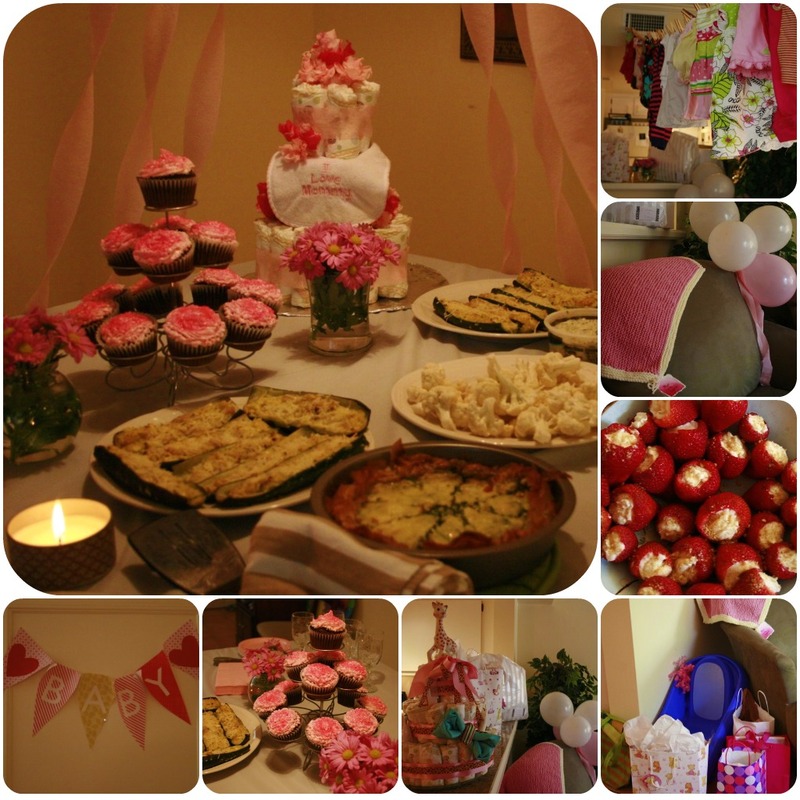 We had such a good time planning this party! It’s always a great time with these girls, especially this time spoiling Babygirl F. Good job pulling this off, ladies! Congratulations Meagan and Emmet! 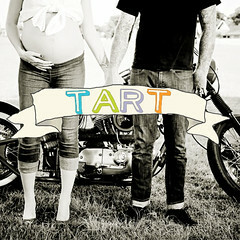 We are so excited for you both. Brandon and I may eat enough food for a family of 4 between the 2 of us but I do feel like we eat pretty well. Despite the fact, I’m always looking for new ways to add more veggies into my diet. 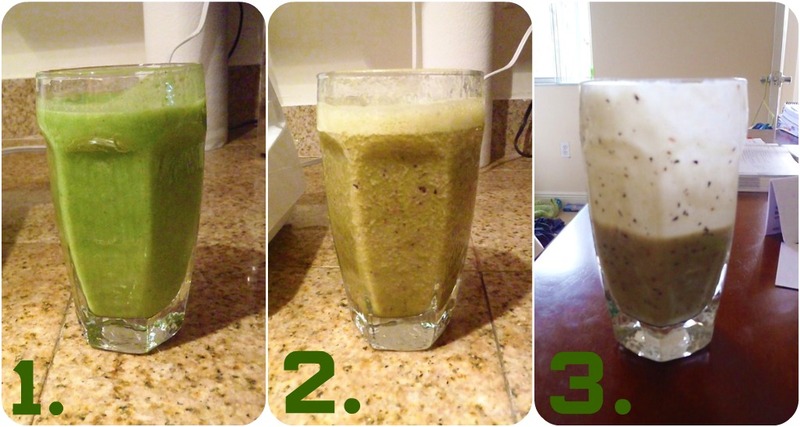 I’ve been seeing these green smoothies everywhere so I decided to give these nasty (but, oh so yummy!) looking things a try. I’m still new at this so I decided to change my green ingredient each day to change the taste a bit. I’ve been drinking this as my mid-day snack and I’m addicted!